Vóta ar cheist simplí nó..? An phobalbhreith eile! An bua ag clocha Chonamara! Féilscríbhinn do Chathal Ó Háinle! Beidh ócáid chomórtha ar siúl i nGaillimh i lár mhí na Nollag mar ómós do Mhaolra Seoighe, a cuireadh chun báis go héagórach 130 bliain ó shin. Ciontaíodh é as a bheith páirteach i ndúnmharú teaghlaigh i Mám Trasna ar theorainn na Gaillimhe agus Mhaigh Eo sa bhliain 1882: crochadh agus cuireadh é ar láthair phríosún na Gaillimhe san áit a bhfuil Ardeaglais na Gaillimhe anois. Fear Gaeltachta gan Bhéarla a bhí ann ach ní raibh aon Ghaeilge ag an dlíodóir nó ag na h-abhcóidí a bhí á chosaint os comhair cúirte i mBaile Átha Cliath. Ní raibh aon Ghaeilge ag an mbreitheamh ná ag baill an ghiúiré agus níor thóg sé ach faoi bhun 6 nóiméad orthu teacht ar chinneadh go raibh sé ciontach. Rinneadh neamhaird dá fhianaise i nGaeilge, coinníodh siar ón gcúirt fianaise a chabhródh lena chosaint agus thug brathadóirí fianaise bhréige ina aghaidh. 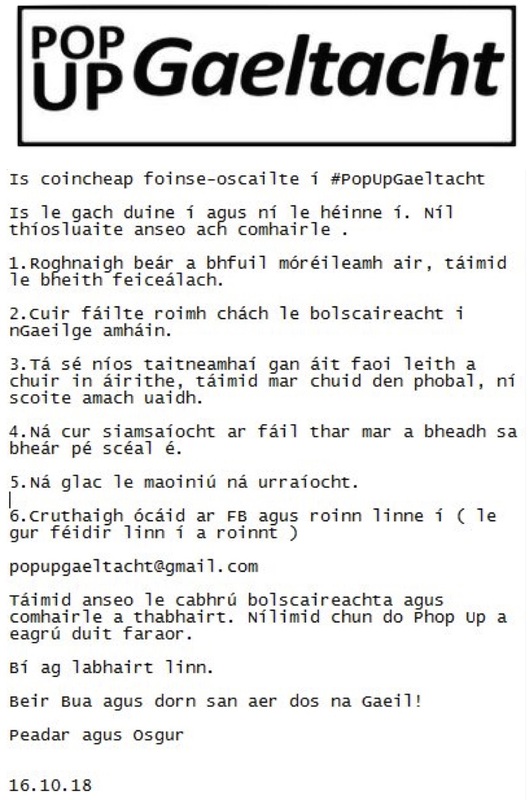 Beidh an ócáid chomórtha ina ómós á heagrú i bpáirt le chéile ag Oifig an Choimisinéara Teanga, Músaem Cathrach na Gaillimhe (Béarla) agus Conradh na Gaeilge. Fógraíodh eolas faoin ócáid inniu (20 Samhain 2012) cothrom an lae 130 bliain ó shin ar cuireadh deireadh le triail Mhaolra Seoighe agus ar gearradh pionós an bháis air i gCúirt Shráid na Faiche i mBaile Átha Cliath. Beidh an ócáid ómóis ina thaca d’fheachtas atá ar bun sa Bhreatain ag roinnt ball de Thithe na Parlaiminte ansin faoi cheannaireacht na dTiarnaí Alton agus Avebury tabhairt ar údaráis na Breataine anois féachaint athuair ar chás Mhaolra Seoighe agus a fhógairt go raibh iomrall ceartais i gceist agus gur go héagórach a ciontaíodh agus a cuireadh chun báis é.
Beidh gnéithe difriúla sa chomóradh atá beartaithe ar Mhaolra Seoighe Dé Sathairn an 15 Nollaig 2012, cothrom an lae go díreach ar crochadh é, 130 bliain ó shin. 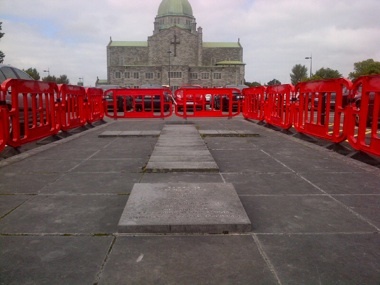 Beidh Aifreann ina chuimhne san Ardeaglais agus bláthfhleasca á leagan ar an áit ar crochadh é agus a bhfuil sé curtha faoin tarmac sa charrchlóis in aice na hArdeaglaise. 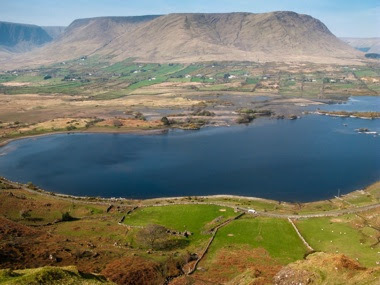 Beidh siompóisiam i Músaem na Cathrach agus imeasc na gcainteoirí beidh an staraí, an tOllamh Gearóid Ó Tuathaigh; an Tiarna Alton ón mBreatain, arbh as Tuar Mhic Éadaigh dá mháthair; agus Johnny Joyce ó Bhaile Átha Cliath, duine de shliocht na Seoigheach a dúnmharaíodh i Mám Trasna agus as ar ciontaíodh Maolra Seoighe. Beidh taispeántais, léitheoireacht as sleachta stairiúla agus scannán de chuid RTÉ faoi Mhám Trasna mar chuid den ócáid freisin agus imeachtaí eile a bheidh le fógairt amach anseo. Tá an clár i bhfoirm pdf le fáil anseo. Dúirt Breandan Ó hEaghra ó Mhúsaem Cathrach na Gaillimhe go raibh áthas ar an Músaem a bheith páirteach sa chomóradh seo. “Cuid de stair na cathrach, an chontae agus na tíre é an méid a tharla do Mhaolra Seoighe. Ar nós aon mhúsaeim, tá ról tábhachtach againn i meabhrú na staire don ghlúin reatha agus do chaomhnú na gcuimhní do na glúnta atá le teacht” a dúirt sé. As an ochtar a ciontaíodh as dúnmharuithe Mhám Trasna, crochadh triúr ach glactar leis go coitianta go raibh duine amháin acu sin, Maolra Seoighe, neamhchiontach. Cuireadh pian seirbhís saoil ar an gcúigear eile agus bhásaigh beirt acu i bpríosún. Tuigtear go raibh ceathrar de na príosúnaithe neamhchiontach freisin. As an triúr a mhair, scaoileadh saor beirt deartháireacha agus nia le Maolra Seoighe, nuair a bhí fiche bliain príosúin déanta acu i 1902. De réir na staire agus na dtaifead oifigiúil, áfach, ba dhúnmharfóirí iad ar fad. Fógrófar mioneolas faoin gcomóradh sna seachtainí romhainn.